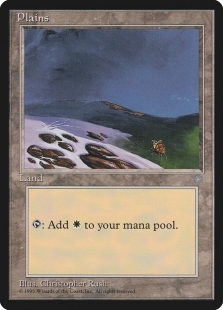 New horizons, untouched land, unsolved meta. There is something romantic, almost poetic, with a new format and an open meta. The intense browsing, the frantic joy, the excitement. You could call a new format an undiscovered paradise to every brewer. Premodern is one of these romantic undiscovered paradises. The question every deck builder, in every meta, tries to answer is: “how do I build the most efficient deck against the expected field”? If there is a really stale meta you can engineer something really specific. A deck that is tailored to find the gap in the meta that can exploit the other decks’ weaknesses. 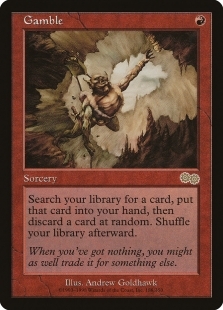 For example, if 75% play artifact decks it is efficient to play Null Rod in your main deck and not in the sideboard. But if there is a new meta you can’t do these things because you don’t have enough information to create something reactive that is efficient. The common sense (a lot of pros have advocated this during the years) is that in a new meta you need to play aggressive decks because there are no wrong “threats” but a lot of wrong “answers”. Hence, a lot of people have been doing great with aggressive decks like Mono Red and Zoo when new metas in different formats have popped up. 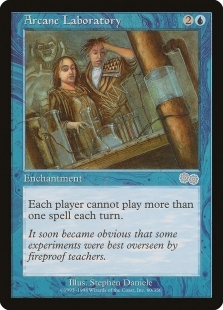 You can see the same tendency in Premodern. 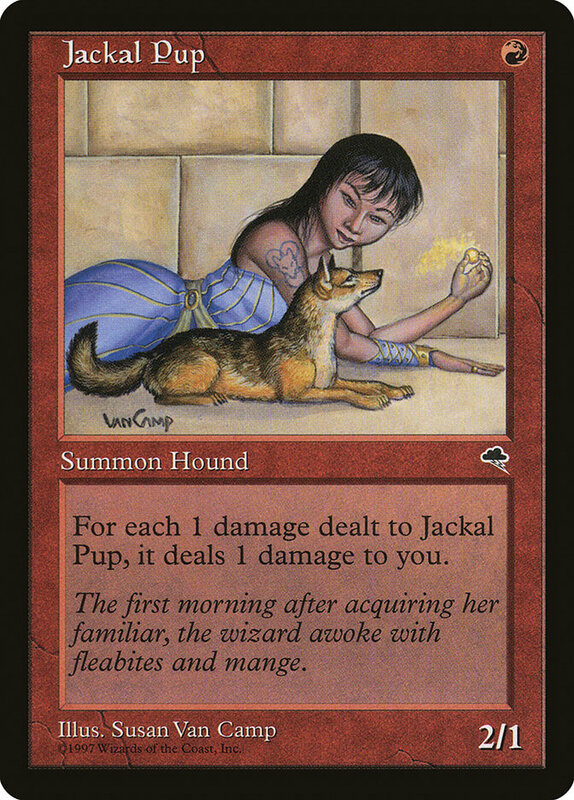 I’m looking at you, Jackal Pup, always a reliable threat. An undiscovered paradise triggers different things in different persons. Some people just go there and smell the beautiful flowers while others just try to be the fun police. But some aren’t looking for anything logical, like winning. They can’t be charmed, enthused, reasoned, or negotiated with. 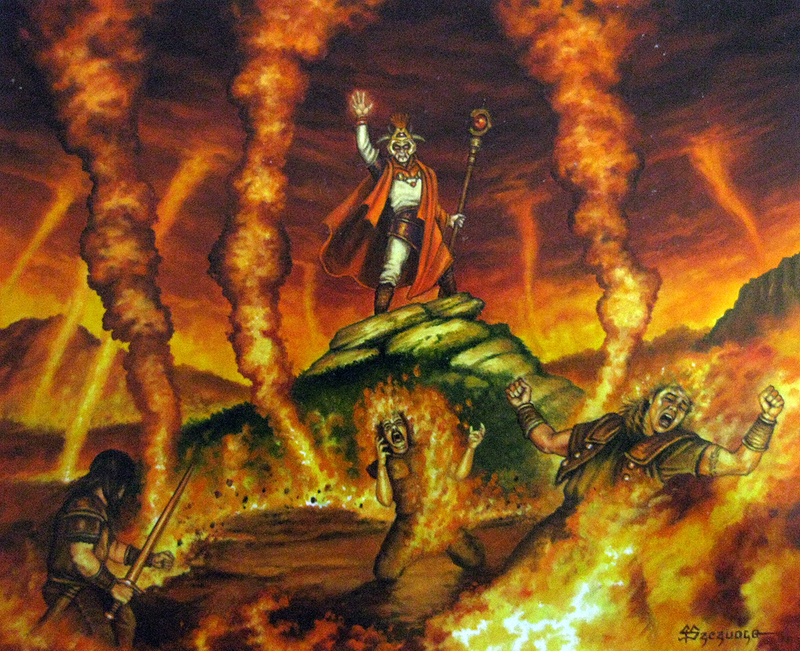 Some MTG players just want to watch the world burn. A card that attacks both lands and creatures. Perfect. The only problem was the obvious card disadvantage. How to solve that? 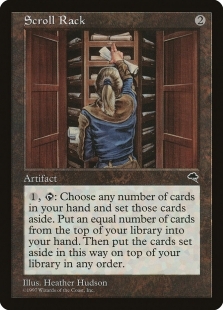 A frantic search in the catalog took place (the Premodern card search page is really awesome). Should I play Squee, Goblin Nabob? Gush and Accumulated Knowledge? My baby had no great answers to my question. But soon I logged onto Facebook and watched my old beloved Land Tax become unbanned. 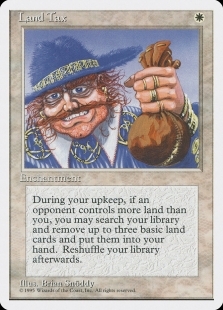 Last time I played Land Tax was in Vintage when Mercadian Masques hit the format so I thought I should be able to put something together with that old knowledge. I remembered Scroll Rack and Moxen. The deck was just waiting to be assembled. Here are some comments on specific card choices. 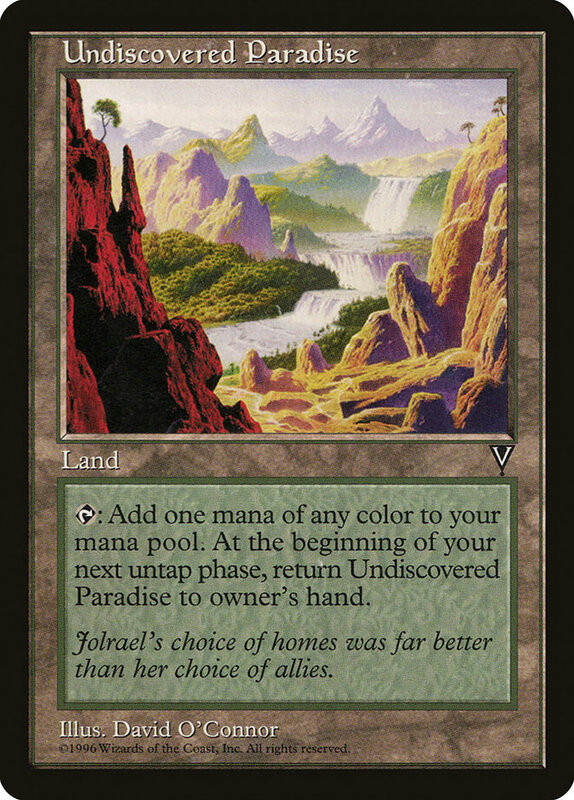 4 Land Tax: The engine, and totally essential to the deck! I mulligan almost all hands without a way to play Tax turn 1 or 2. 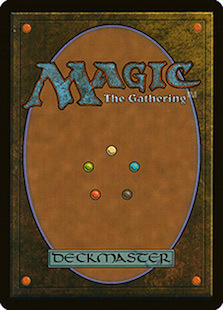 The deck has won multiple games with a mulligan to five on the back of Land Tax. You can hold some other hands if you can for example land turn 1 Winter Orb versus control game 1. 4 Scroll Rack: A classic combo with Land Tax. Ancestral Recall + Brainstorm every turn. When you are unsure about the format then three more cards every turn can help you to find the answers. 4 Enlightened Tutor: Finds the engine and some narrow answers to different game states. 4 Gamble: The last addition to deck. You could argue that it was the last piece of the puzzle. It performed insane in this deck thanks to Land Tax and the synergy with Undiscovered Paradise. 4 Devastating Dreams: Game winner. 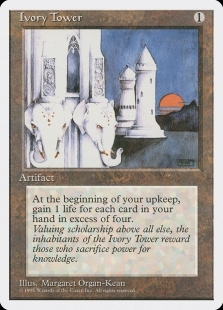 Cashing in the advantages you build with Mox Diamonds and Land Tax. 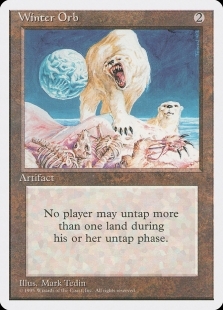 4 Winter Orb: Control hoser but often really strong versus the other archetypes as well because a lot of decks play enter-the-battlefield-tapped lands and pretty mana intensive cards (Cursed Scroll for example). 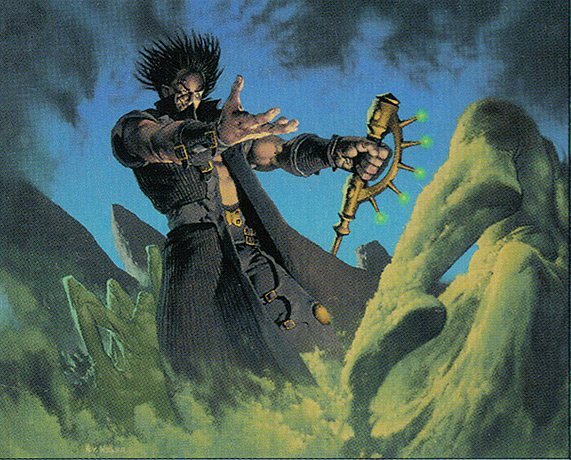 When you combo it with the next card in the list you have built yourself a Time Walk machine. 4 Tangle Wire. 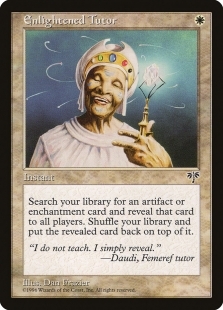 Incredible with Winter Orb but the problem with this card is that it is a tempo card that gets weaker and weaker. But the deck cashes in on tempo gained with its strong combos or card advantage. 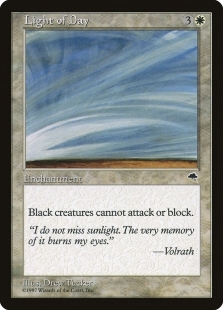 A common card to sideboard out though. 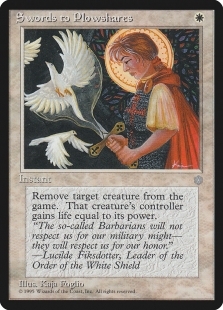 3 Swords to Plowshares. Some extra removal versus big dudes. A concession to the perceived meta. 2 Sphere of Resistance: Great versus the decks that aren’t playing a lot of expensive cards and aren’t as weak to Winter Orb or Devastating Dreams. It is also your go-to solution versus combo. 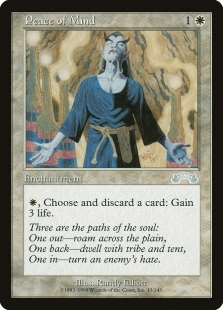 One is always great but the second one can be a bit problematic for our own deck. 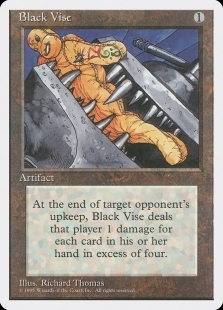 But versus Sligh the second one is our wincon because then it’s really hard for them to do the last damage with Fireblasts. 1 Aura of Silence: Tutorable removal against a lot of problems. Surprisingly strong versus a lot of decks due to the high amounts of artifacts played. 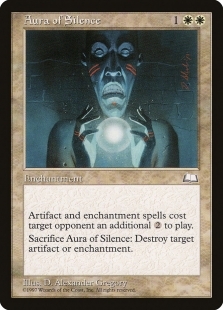 Can be swapped for Seal of Cleansing but the deck would then be weaker versus Enchantress and combo. Sometimes needed to be 100% sure that Gigapede isn’t exiled with Tormod’s Crypt. 1 Peace of Mind: Wincon against Sligh (wincon, really? 😉 / Martin). Ok as a game closer against other aggressive decks. 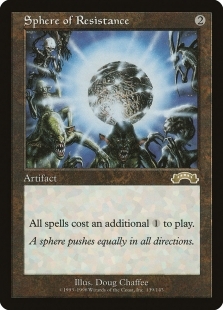 It can be swapped for Zuran Orb which has better synergy with the deck (Land Tax, Tangle Wire etc) at the cost of being weaker against Sligh. 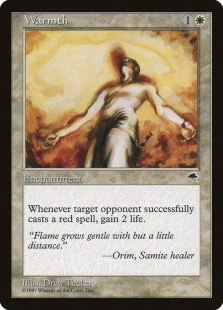 So until Sligh isn’t one of the most played decks I will play a Peace of Mind. 1 Gigapede: You don’t really need a wincon if you have Scroll Rack in play (you just put cards back from your hand without drawing) but sometimes you need to up the tempo. The problem was that I really didn’t want to commit card slots to wincons and if you only play one or two wincons they can be discarded to Devastating Dreams or Gamble. 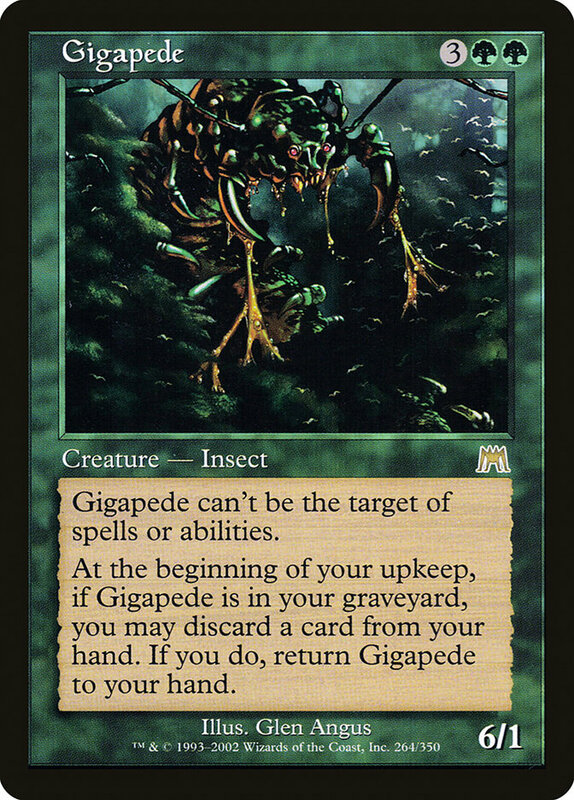 I pondered through the card database looking for a card that was immune to discard and Swords to Plowshares, so I was really happy when I found Gigapede, wow! 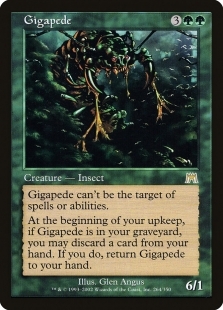 Crazy specific needs, but this version 2.0 of Deadly Insect delivers on all fronts. 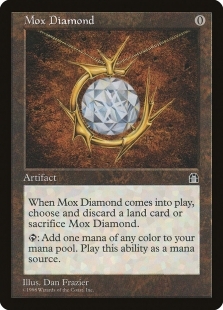 4 Mox Diamond: Often better than Mox Ruby or Mox Pearl in the deck and often a tutored card in mid game to synergy with Winter Orb, Devastating Dreams and Land Tax. Brings both tempo and mana fix. One game my opponent Foiled my Mox Diamond and it was probably the correct play. 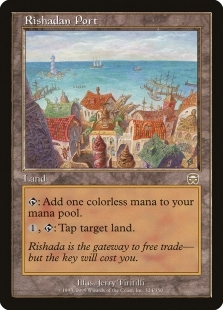 4 Rishadan Port: Soft lock with Winter Orb and Mox Diamond. 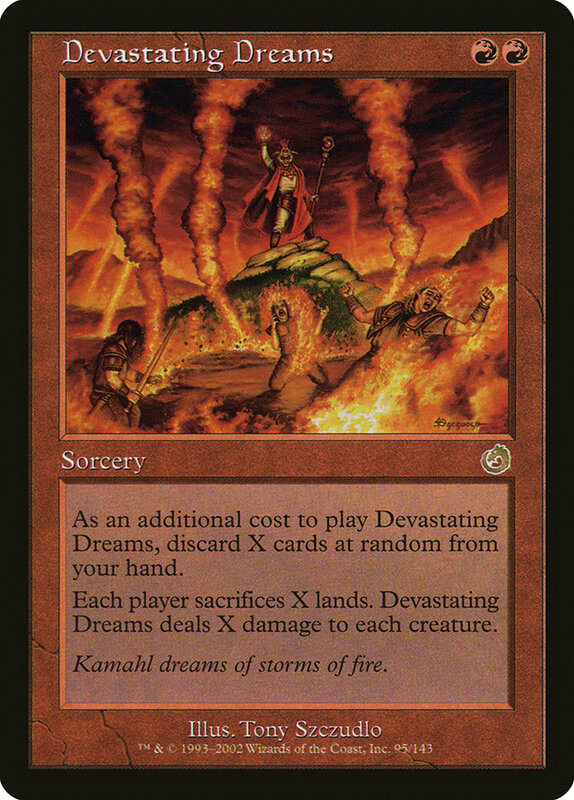 Forces people to play more lands into Land Tax and Devastating Dreams. Incredible in the deck. 4 Undiscovered Paradise: I’ve never seen a better deck to utilize this card. Incredible with Land Tax as it bounces itself in untap before Tax triggers in upkeep. Great to bounce to Scroll Rack, Gamble and Devastating Dreams. Really strong with Winter Orb. Insane utility. 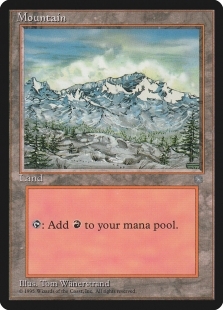 6 Plains and 6 Mountains: I tried to play some Battlefield Forge to help with coloured mana and it had its merits. The problems with that is that you need to be more careful to discard your basic lands. You will also be more weak to Price of Progress and Wasteland, but with that said I think this aspect of the deck can be more tuned. I created the deck with my zombie brain (having been home some months with my baby) so I think there is a lot of room for optimization. But I played the deck in two tournaments and it felt incredibly strong. My own thoughts going forward with the deck are as follows. One life gain card is needed in the deck to really lock the wins. The top candidates are Peace of Mind, Zuran Orb but also Ivory Tower. The tower is insane with Land Tax but a bit slow. It’s nice as well with a permanent to tap to Tangle Wire. 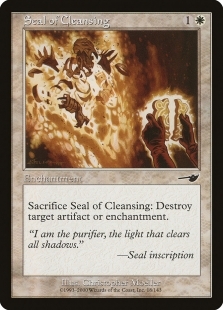 Seal of Cleansing: Good versus other Land Tax decks, Yawgmoth’s Bargain decks etc. If the meta changes from aggro I can imagine playing 2–4 of these, which would free up slots in the sideboard. 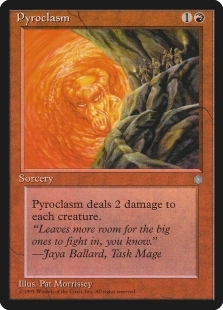 Pyroclasm: Better than Swords to Plowshares if the red decks continue to play fewer Ball Lightnings and more small creatures. 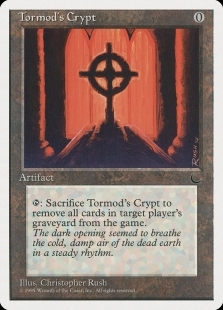 Phyrexian Furnace: If graveyard-centric decks see a rise this or Tormod’s Crypt could make an appearance in the maindeck. Did I say that the deck is a challenge to play? It really is but at the same time it’s super powerful. 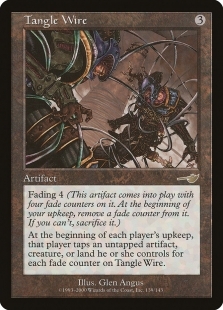 All spells except Tangle Wire cost one or two mana. Of course the games are easy when you draw an insane amount of cards and wipe the entire board with spells that costs two mana to play. The tough part is to navigate the games when you don’t have everything to set up the unbeatable game state. Do you bounce Undiscovered Paradise to Scroll Rack away? Do you Gamble with three cards or do you wait for one more? Are the odds of winning worse anyway because you waited that extra turn? Yes, the deck is sometimes scary to play due to all the random discard. But, oh lord, it’s even scarier to play against! Sometimes it’s scary to even play your first land versus Pink Prison when it starts with Mox Diamond and no land drop on the first turn. Is the deck tier 1? 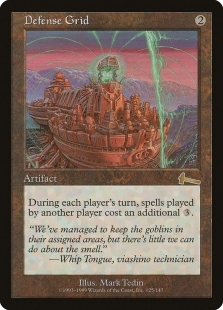 As long as Sligh and Goblins are popular I really think it is. I think my stats versus these decks are 8–1 and without Gamble being silly it should probably be 9-0. But if a lot of decks play some Disenchant effects the deck is a lot less scary because it’s the Land Tax that does the heavy lifting. So if you are scared of some sledge hammer action in Premodern—don’t leave your house without Disenchant, Annul, Hull Breach etc. Otherwise, join in and start dreaming about total devastation!